Boracay Island in the Philippines has become such a popular tourist destination that it plans to increase the length of the runway at the Godofredo P. Ramos Airport (better known as the Boracay-Caticlan Airport) to enable larger commercial airplanes to land. In 2013, the island had over a million visitors, with more expected this year. Tourism is a very important part of the economy on Boracay and other islands in the Philippines. People visit the islands for their beautiful beaches, tropical climate, fascinating volcanoes and gorgeous views. As the number of travelers increase, expanding the runway on Boracay will allow larger planes like Boeing and Airbus jets to arrive from other airline hubs such as Japan, South Korea, China, Malaysia, and Singapore. This will accommodate larger numbers of visitors from all over the world. The expansion is estimated to cost nearly $300 million, including a new terminal, equipment, and other commercial facilities near the airport. But the San Miguel Corporation who manages and operates the airport is committed to completing the work to pave the way for increasing numbers of visitors to the island. The company is also interested in improving other island airports with expansion or replacement projects. 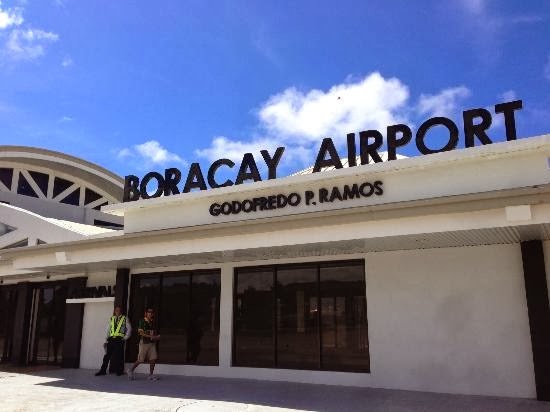 The Boracay-Caticlan Airport expansion is expected to be completed by the end of 2014. This will allow the airport to accommodate up to 3 million passengers every year. International flights are expected to start as soon as early 2015.